Andrew Downes' Uncle, (his father Frank's older brother), Herbert James Downes, known to most people as Bert, was born July 15 1909 and died December 21 2004. He was principal viola of the Philharmonia Orchestra from 1945 to 1974 and a member of the Philharmonia Quartet. The great violist, Lionel Tertis, acknowledged him as "that splendid soloist". Born in Walsall, Staffordshire, Downes, who has died aged 95, was one of 11 children, with little money coming in from his father's leather and boot business. After a bout of polio, Bert was in and out of hospital for years, and was left with a limp; he did not start school until he was seven. 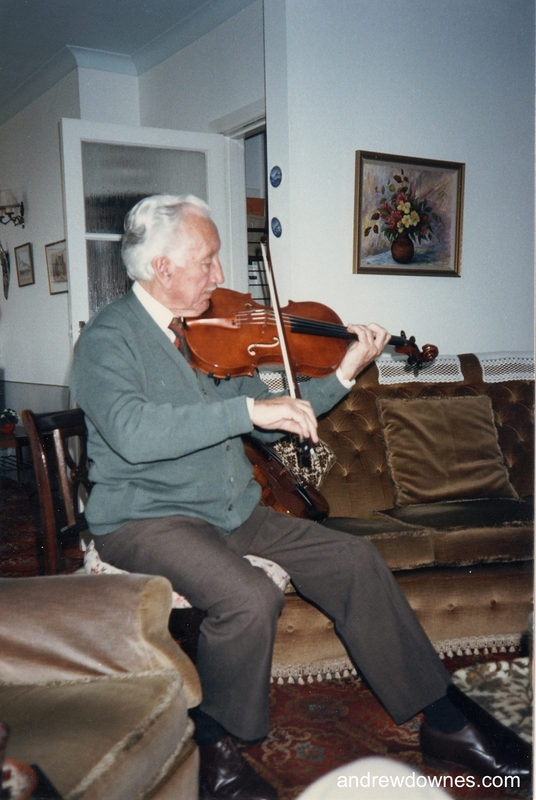 At 10 he began playing the violin at school, and at 12 went to a local teacher, Arthur Hytch: "My first lessons cost 1s 6d a time. Hytch taught me violin, fly-fishing and a little about the stock market." (Later, Downes would go fishing between morning and evening Philharmonia sessions.) Though Downes was to study privately with Paul Beard in Birmingham and Carl Flesch in London, he owed much to Hytch, who asked him to play the viola in his string quartet. Playing in the picture houses and at a cafe was followed by membership of the second violins of the Lozells Orchestra, which gave regular broadcasts. 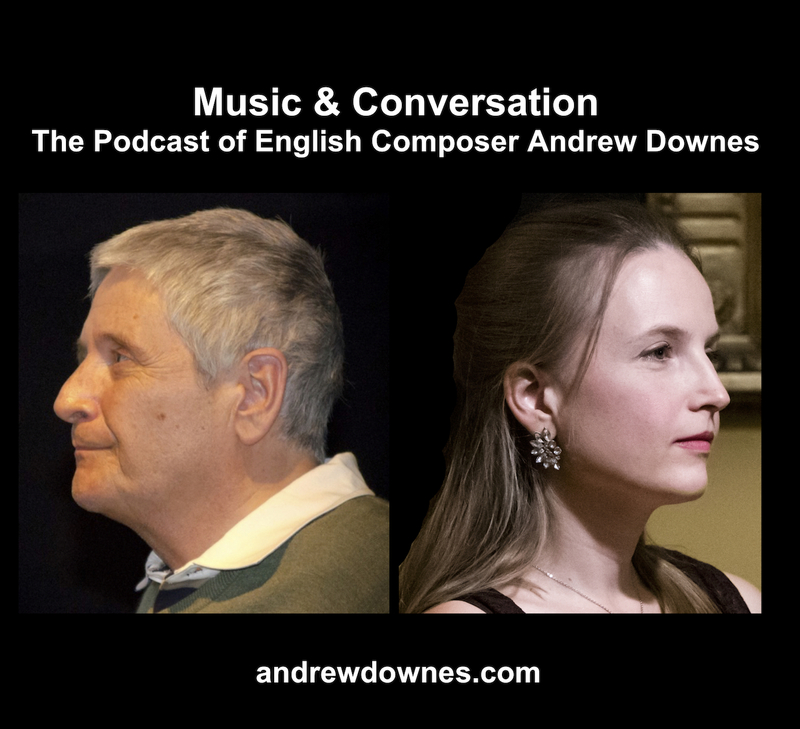 At 18, Downes was a violinist in the part-time City of Birmingham Orchestra (CBO) - later he turned out for the BBC Midland Orchestra, too, and in the summer played at Scarborough. By 1931, he was violist in the Henry Holst Quartet. He studied scores with CBO conductor Leslie Heward, experience he put to good use with the semi-amateur orchestra he conducted in Walsall. From 1935, he led his own quartet, while continuing in the orchestra as number three in the first violins. 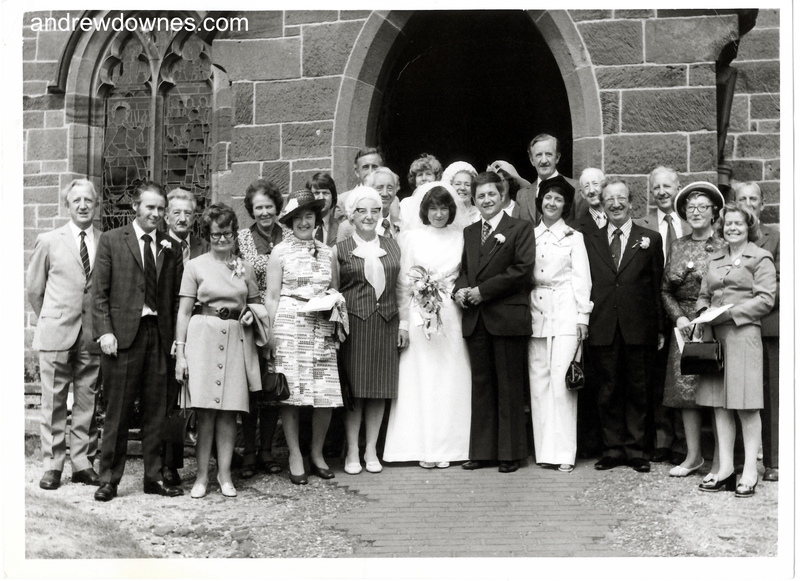 Acting as best man at his colleague Ernest Element's wedding led to marriage to the bride's sister: in March this year Betty and Bert would have been married for 70 years, and he is also survived by their three daughters. 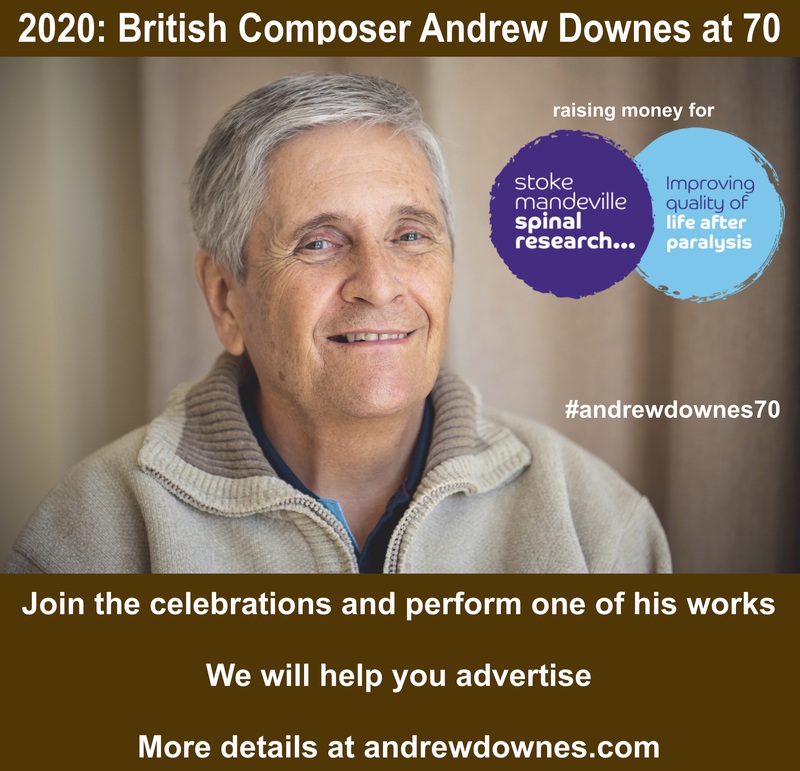 Unfit for war service, Downes worked as an air raid warden, then, in 1940, moved to the BBC Scottish Orchestra in Glasgow and thence to the Liverpool Philharmonic, Britain's finest wartime orchestra, as principal viola. Out of the "Phil" arose the Philharmonia Quartet - Holst, Element, Downes and Anthony Pini - and Downes was one of three members who went into the Philharmonia Orchestra as principals on the London orchestra's foundation. 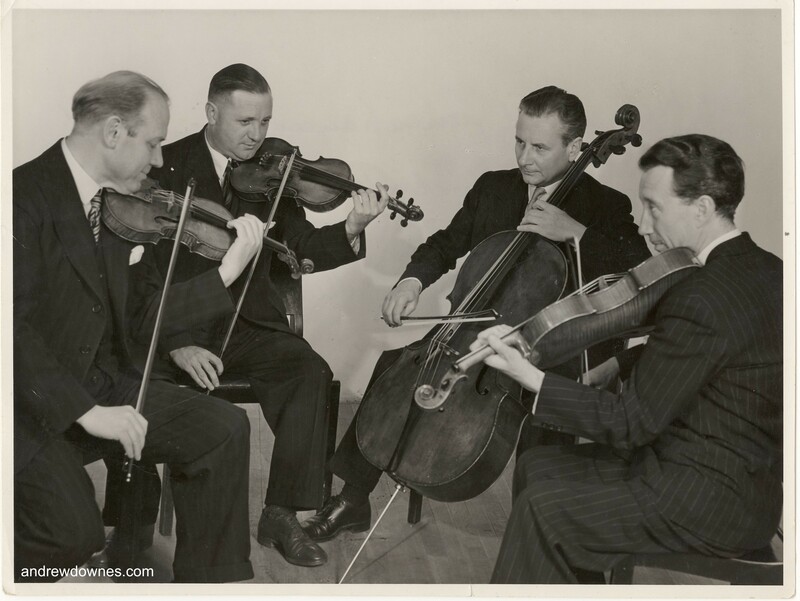 In 1947, the foursome premiered Walton's Quartet at the Prague Spring festival. 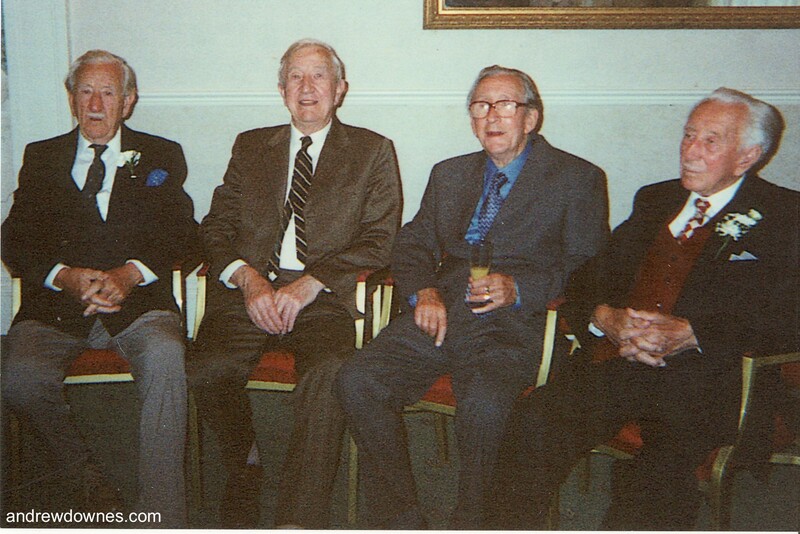 The quartet continued until 1952, and the following year Downes played in the Coronation orchestra. Sitting right in front of the Philharmonia's conductors, Downes had a closer rapport with them than most. Once he felt impelled to say, "Dr Klemperer, your flies are undone," which brought the reply, "But vat has zat to do viz Beethoven?" One day Carlo Maria Giulini, discussing bowings, innocently said: "Let's have three downs there." And the entire Philharmonia chorused: "One Downes is enough!" Sometimes Downes conducted so that the maestro of the day could judge the sound from the back of the hall. 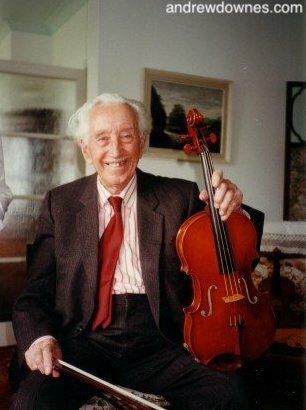 He gave occasional recitals, and played 16 viola concertos - his favourite was the Walton, and Benjamin Frankel's (1967) was dedicated to him. In Richard Strauss's Don Quixote, Downes took the role of Sancho Panza to the great cellists of the age, notably Jacqueline du Pré on disc, Paul Tortelier on BBC television, and Mstislav Rostropovich. A collector of instruments and bows, Downes eventually played a magnificent 1560 Gasparo da Salò instrument. Watch Herbert Downes lead the violas in this performance of Stravinsky's Firebird Suite conducted by Stravinsky himself with the Philharmonia Orchestra, Royal Festival Hall, 1965. 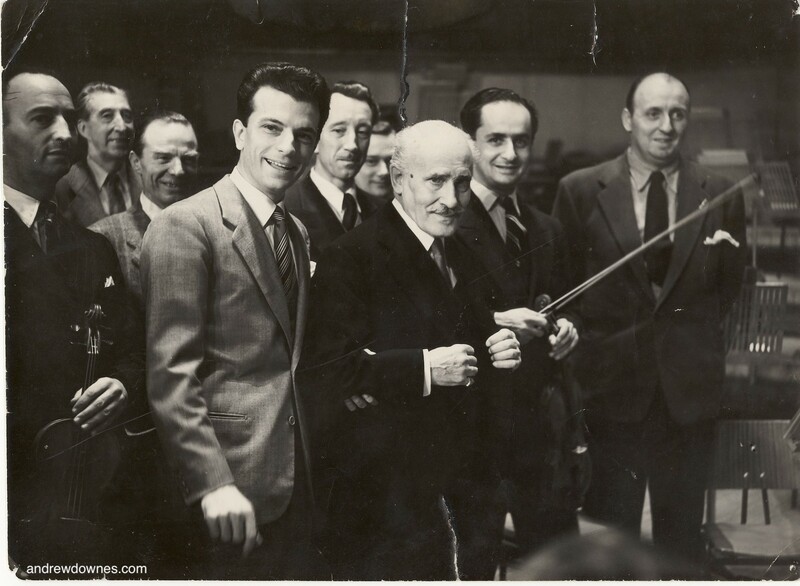 1952, when Toscanini (front right) conducted the Philharmonia in a series of Brahms concerts. 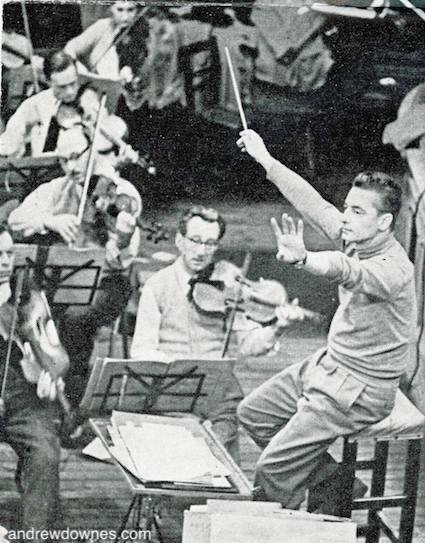 Next to him is his protege, Italian conductor Guido Cantelli who tragically died in a plane crash at the age of 36 on 24 November 1956. 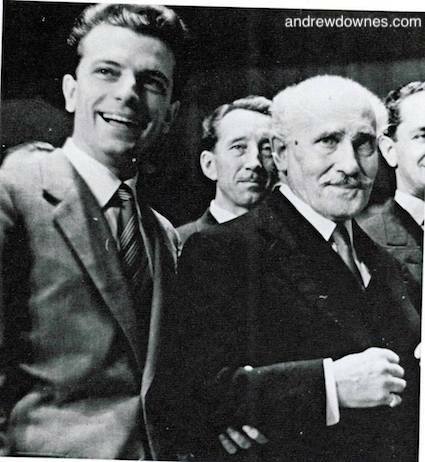 Between them is Herbert Downes; on the extreme right, Manoug Parikian, leader of the Philharmonia. 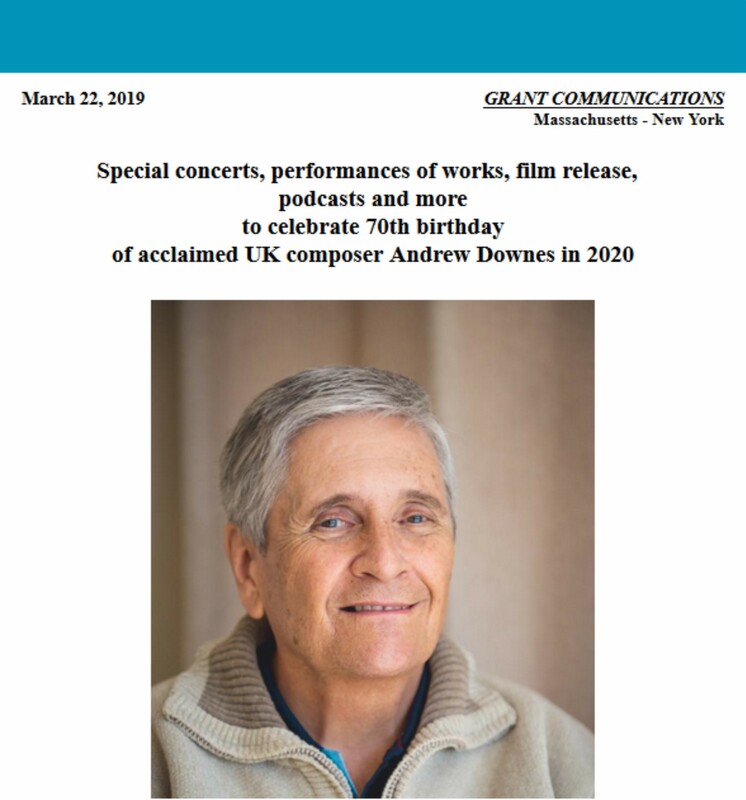 Bert apparently told Andrew Downes what an absolutely amazing conductor Cantelli was, and what a tragic loss to the world of music he was. Remastered in 2017 by The Electric Recording Co.
11 tracks in all with various instrumental accompaniments including Gerald Moore. Peter Racine Fricker: Viola Concerto, Op. 18 (1953). Conducted by Rudolf Schwarz. BBC Symphony Orchestra. **Herbert Downes, viola** [radio broadcast from 1958].